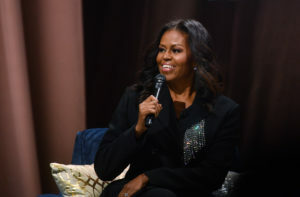 Former first lady Michelle Obama brought lessons about becoming the best version of yourself when her book tour stopped Saturday in Washington, D.C.
For about an hour and 30 minutes, Obama chatted on stage at the Capital One Arena with Valerie Jarrett, who served as a senior adviser to former President Barack Obama and is a close friend of the couple. Before former President Obama dropped in for a quick surprise chat at the end of the event, the former first lady and Jarrett talked at length about balancing motherhood and professional success, as well as how to value self-care while serving society. Here are four important takeaways from Michelle Obama’s tour and book. During one of the most candid moments of the evening, Obama talked about going to marriage counseling. 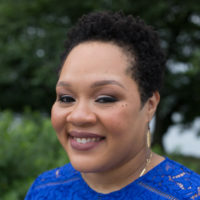 After struggling to conceive children, she said she found herself doing the lion’s share of the parenting as then-state senator Barack Obama commuted from their home in Chicago to Springfield, Illinois, for work. But that’s not what happened. Instead, she said, counseling was a personal “turning point” where she realized that she needed to change her approach to happiness. In the end, she said, it was important for her daughters to grow up with a mother who valued herself. “I learned how to put my workouts in and how to get my rest, and how to ask for help,” Obama said. Obama told a story about bringing her youngest daughter, Sasha, to a job interview with her when the youngster was just 4 months old. To her surprise, she was offered the job, including her demands. Obama said her working-class parents valued her opinion at an early age and gave her agency in her own home. She tells the story of her mother advocating for her to get better schooling when in elementary school she and her friends complained that they weren’t getting enough homework and learning enough in school. Obama’s book tour feels like a concert held on your couch. The D.C. stop was held in a massive space but it was also so intimate that people felt like she had bared her soul. That, it turns out, is the former first lady’s gift, one that helped her husband get elected president and led her to the East Wing of the White House, she said. While campaigning in Iowa during her husband’s first presidential campaign, she found that stories about her life resonated with voters. It’s a lesson anyone running for office might value.